Marsha Goodheart and Karen Gines know how to call “spirits” into their paintings. Both use extensive palettes of color and utilize visionary images to energize their work. Marsha’s work can be categorized as multi media and assemblages. Karen’s work is multi media and acrylic on canvas. 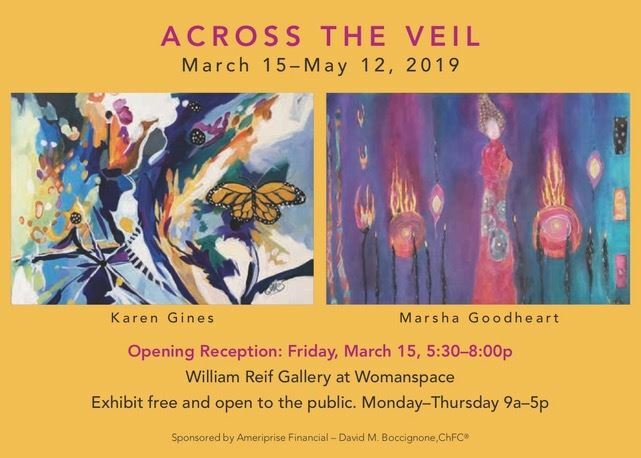 Treat yourself to an evening with these two dynamic women and their paintings.